This post contains affiliate marketing links, which means I may get paid commission on sales of those products if you purchase them. Read the full disclosure here. Here’s the rundown: the base is a crunchy pretzel crumble. In the middle, you’ll enjoy a layer of homemade whipped cream cheese mousse. 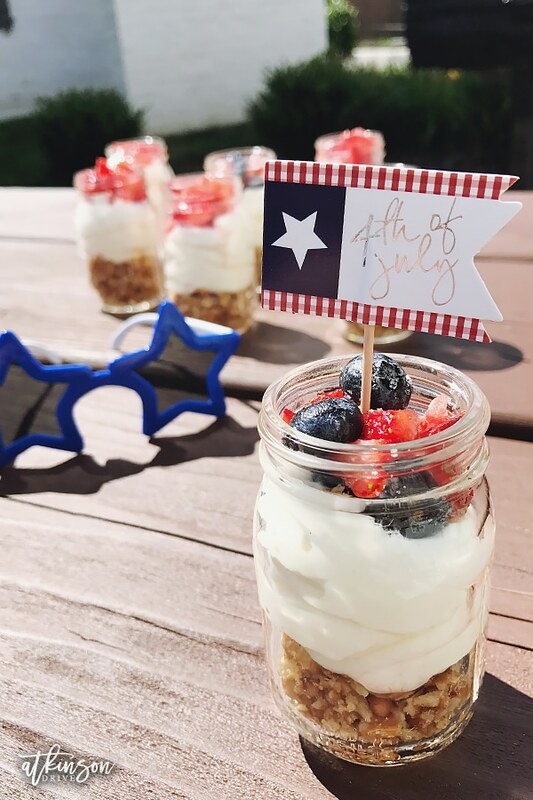 To top it all off you can choose between sugared strawberries and blueberries (perfect for 4th of July), or drunken strawberries! This dessert is seriously the perfect meld of tart berries, creamy mousse, and buttery pretzels. To find the full recipe, scroll to the bottom of this post. to serve in individual portions. First you want to start your berries. Make sure they're all washed, with strawberries chopped. If you want drunken berries, dump them in a bowl and cover with moscato. Let them sit for at least 15 - 30 minutes to really soak up the flavor (a few hours or overnight won't hurt them). Place the drained berries into a bowl and coat them with granulated sugar. If you don't want to add sugar you don't have to. Naturally sweet berries will be delicious with or without it ... though personally I find sugar-coated fruit to be delightful! For your crumble, melt your butter and sugar together in a medium bowl in the microwave. While that's melting, crush up your pretzels. Take your pretzel crumbles and mix them in the butter/sugar melt until everything is well coated. Set aside. With a mixer on high, beat together your heavy cream and 1 Tbsp. sugar until they are a whipped cream consistency. Set aside. Beat the softened cream cheese and 2 Tbsp. sugar. You're looking for a light and fluffy texture (similar to heavy whipped cream). Now gently mix the whipped cream back in for the perfect cream cheese mousse. 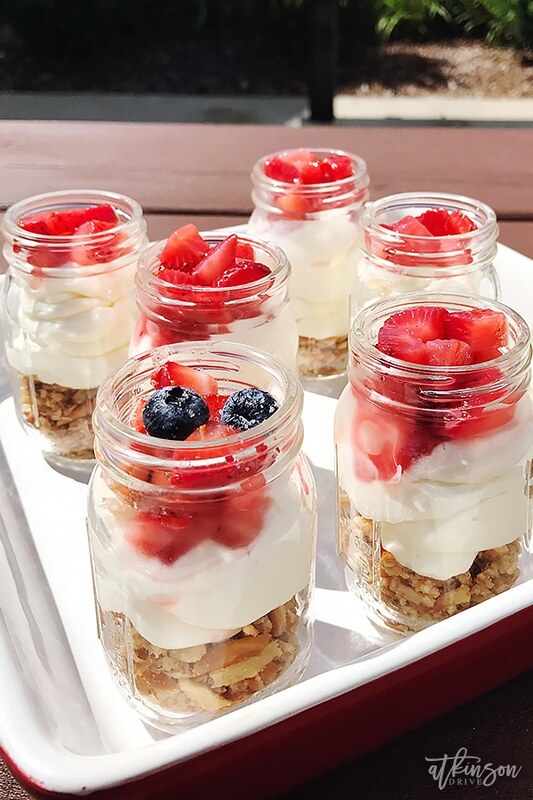 Assemble your parfaits by placing a layer of pretzels in the bottom, piping a layer of cream cheese mousse on, and top it all off with your macerated berries! Take a few handfuls of pretzel rods and place them in a large ziplock freezer bag. Use a rolling pin to smash the pretzels into pieces. You could also use a food processor. If you're a person who just loves super sweet desserts, you may need to make a few changes to this recipe. Add an extra tablespoon of sugar to both the pretzel crust and the whipped cream to take this from lightly sweetened to candy-coated! 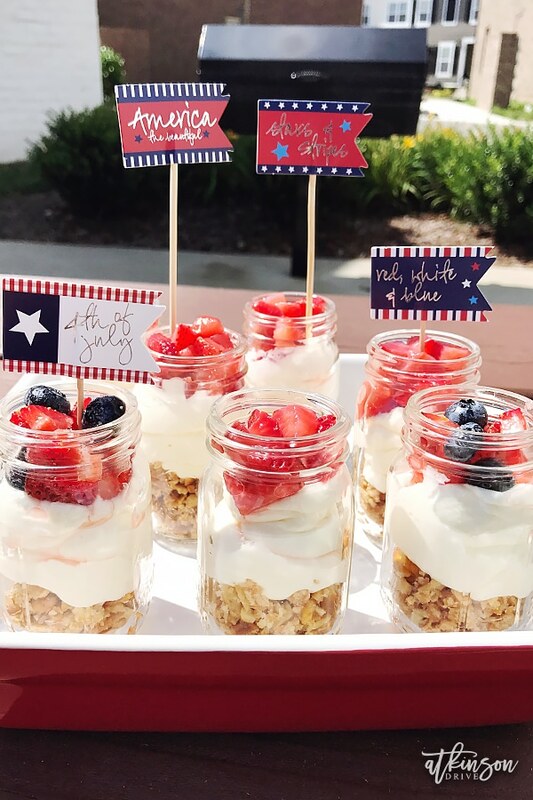 I hope you and your family enjoy this tasty Strawberry Pretzel Parfait dessert as much as we do!